Did you hear about the new line by Joanna Gaines at Anthropologie"
It is magical and such a great collaboration! 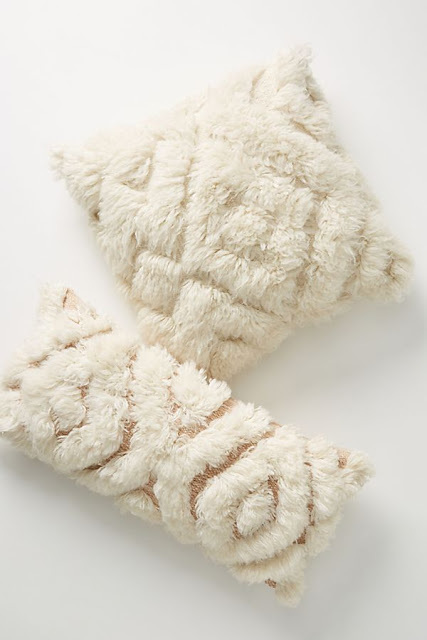 These wool pillows look so fluffy and soft! The Isabel rug has the perfect colors. This is a sweet blush pink pillow. This wallpaper is great for a fun but neutral backdrop to any room. I still need to get my hands on this book! I am so happy for their continued success!